Print and fill out the form(s) that will be needed for your upcoming appointment. Although we would prefer you accompany your child to all office visits, we realize that this is not always possible. This form allows NFP to treat your child under the age of 18 if your child comes without a parent. A parent or guardian must fill out and fax back to us at 770-475-1621 or you may drop it off at our office. 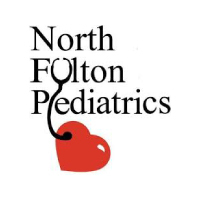 Please download and sign this form and send to your child’s prior pediatrician to request your child’s medical records be sent to North Fulton Pediatrics. For the “Pre-participation Physical Evaluation Form (Sports Form)”, parents will need to fill out “Page 1” and fax this page to us at: (770) 475-1621. Again, please allow 72 hours to for the forms to be completed by our nurses.